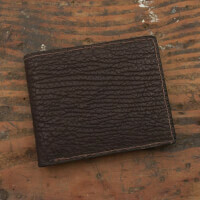 This wallet is made with beautiful sharkskin that is tanned brown. 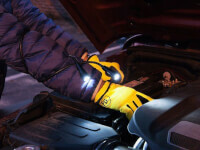 It is stitched with heavy duty nylon thread that matches the color of the leather. It can have 6 credit card slots or 8 credit card slots. There are 2 spaces behind the credit card slots to store additional items of a size similar to credit cards. There is a large bill pocket on top and the bill pocket is separated into 2 compartments in the 8 card slot version. 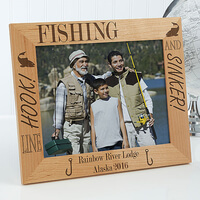 Personalized Fishing Custom Wood Picture Frame -..
Our Fishing Pro Personalized Frame is the perfect fit for their photo of the "big catch." Our belts are handcrafted from the highest quality shark skins available. 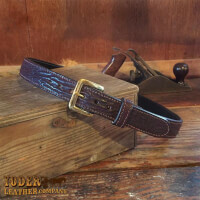 These shark skin leather belts are made to order and crafted with our years of leather-working experience. This particular belt is tanned to bring out a redish brown look to the shark. 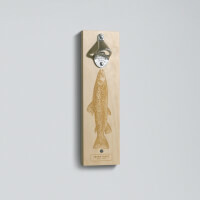 For the fishy people in your life nothing says love like a gift of the Brown Trout wall-mounted bottle opener. Created by anglers, for anglers - the highly detailed scientific illustration highlights Salmo trutta in all of itâ€™s beauty. This unique bottle opener is sure to lure fishermen and beer lovers alike. 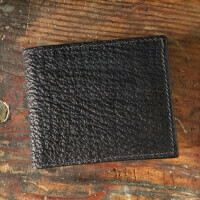 This wallet is made with beautiful sharkskin that is tanned black. It is stitched with heavy duty nylon thread that matches the color of the leather. It can have 6 credit card slots or 8 credit card slots. There are 2 spaces behind the credit card slots to store additional items of a size similar to credit cards. There is a large bill pocket on top and the bill pocket is separated into 2 compartments in the 8 card slot version. 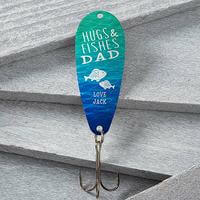 Personalized Father's Day Fishing Lure - Hugs &..
Let the fisherman in your life know that you're his favorite fishing buddy with our Hugs & Fishes Personalized Fishing Lure. 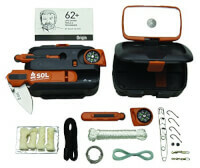 SOL Origin is a survival kit that fits in your palm. Own all the tools you need to make it back alive. 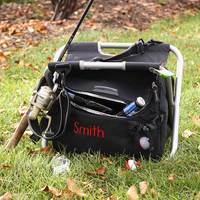 A great gift for any outdoor adventurers - hiking, camping, fishing, and more. 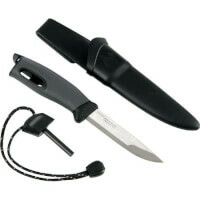 The Ultimate Survival Kit contains knife and gear expertise that every camper should be familiar with! 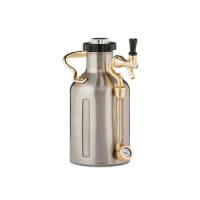 Items in the Survival Series are meticulously designed to serve multiple functions. 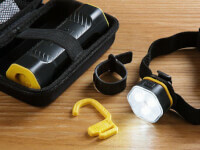 Small, light and compact, this Survival Kit provides you with the gear you need to meet challenges in the wild. The Swedish FireKnife is more than a great knife. Why? The handle has a fire-starter! In other words, you can gut and clean a fish, split kindling and light a campfire with one handy tool. 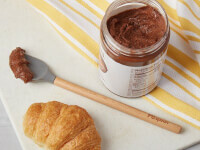 Easily ignite a stove, grill, paper, dry grass, birch bark or kindling.